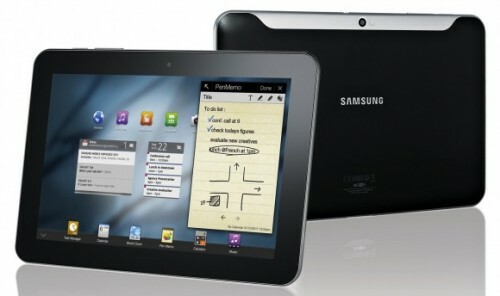 Having launched the Galaxy Tab 7-inch past November 2010, Samsung announced a new member of the Galaxy family, namely the Galaxy Tab 10.1-inch, which is claimed as the world's thinnest tablet with a thickness of 8.6 millimeters with a larger screen size but still has a light weight 595 grams . Carrying the Android 3.0 (Honeycomb) operating system, Galaxy Tab 10.1 still presents the user interface of Samsung, TouchWiz, which allows users to operate the various functions. In addition, Samsung also buried Mini Apps Tray feature, where a number of features that frequently used the user can directly operate on the homepage. Samsung Galaxy Tab 10.1 equipped with a 1 GHz dual core processor. In addition, this smart device also supports HSPA + networks with speeds of 21Mbps and 11a/b/g Wi-Fi connectivity. Galaxy Tab 10.1 also has a rear-resolution 3-megapixel camera with LED flash, as well as front-resolution 2-megapixel camera. Wifi version Prices of the Galaxy Tab 10.1 approximately $499 (16GB) and $599 (32GB). The plan, the Galaxy Tab 10.1 officially marketed mid-June.